Following the commercial and critical success of The Fisher King, Terry Gilliam next feature would turn to science fiction and a screenplay by Janet and David Peoples (Blade Runner, Unforgiven) inspired by Chris Marker's classic short film La Jetée. In 1996, a deadly virus is unleashed by a group calling themselves the Army of the Twelve Monkeys, destroying much of the world's population and forcing survivors underground. In 2035, prisoner James Cole (Bruce Willis, Die Hard) is chosen to go back in time and help scientists in their search for a cure. 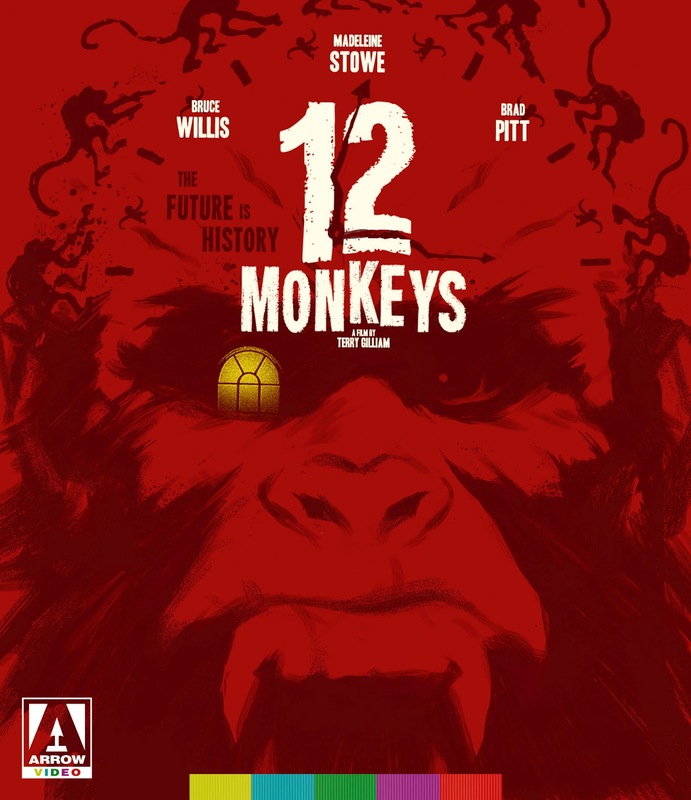 Featuring an Oscar-nominated turn by Brad Pitt (Fight Club) as mental patient Jeffrey Goines, Twelve Monkeys would become Gilliam's most successful film and is now widely regarded as a sci-fi classic. 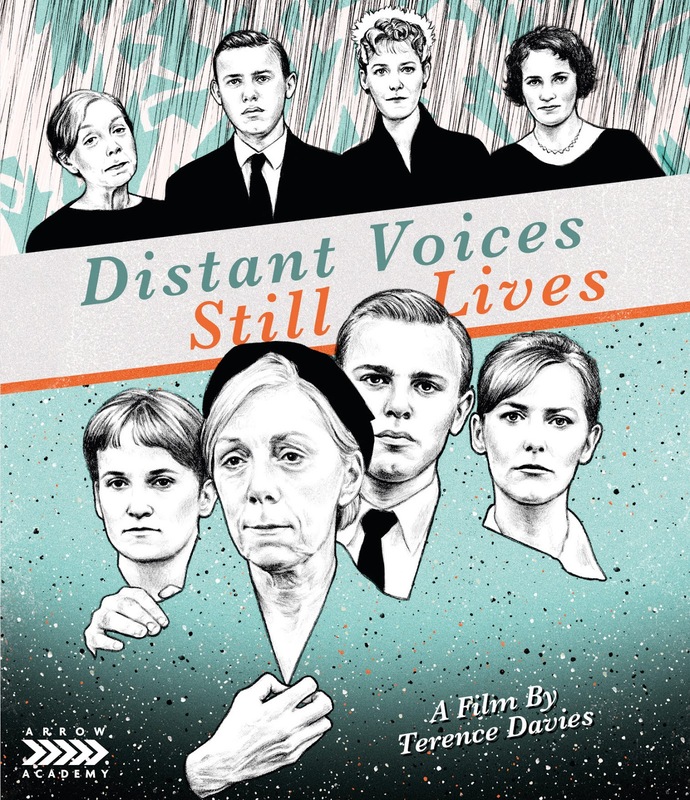 Arrow Films are proud to present the film in a stunning new restoration. To order your copy of 12 MONKEYS from MVD click HERE. From writer/director John Landis, the mind behind The Blues Brothers and An American Werewolf in London, comes a love story that transcends the boundaries of nature and good taste - the one and only Schlock! Carnage! Terror! Banana skins! The mighty prehistoric ape Schlocktropus has emerged from hiding to embark on a full-scale rampage across a quiet Southern Californian suburb. The police are baffled. The army is powerless. The body count is rising. But when Schlocktropus encounters a kindly blind woman (Eliza Garrett, National Lampoon's Animal House) who sees beyond his grotesque visage, the homicidal simian is presented with a chance at redemption... Shot over twelve days on a micro-budget, Schlock launched the careers of both Landis and legendary effects makeup artist Rick Baker (Videodrome). 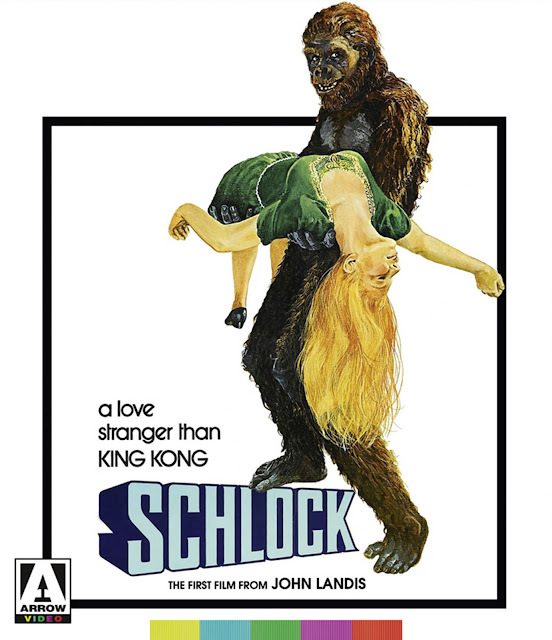 An uproarious pastiche of monster movies, packed to the gills with irreverent humor and biting satire, Schlock serves as the outrageous missing link between the creature features of yesteryear and its creators' subsequent varied and celebrated careers. 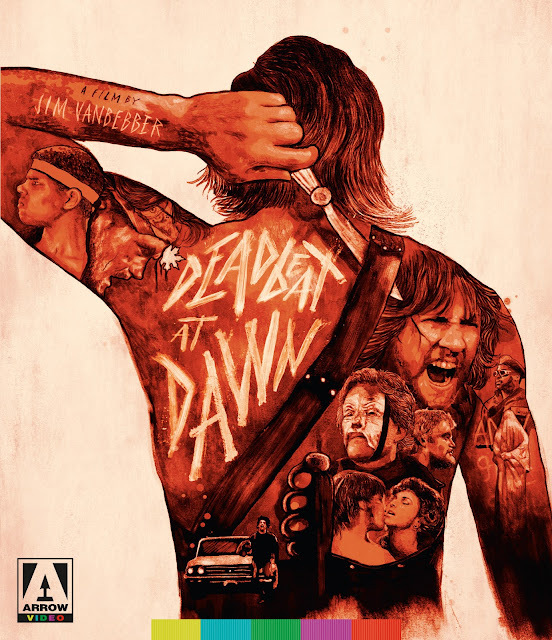 Jim VanBebber's notorious, blood-drenched cult classic Deadbeat at Dawn rises again on the advent of its 30th anniversary, newly restored for the first time on Blu-ray. Locked and loaded with a raft of new extras, see Deadbeat as you've never seen it before - in all its head-busting, bone-crushing glory! Written by, directed by and starring VanBebber, Deadbeat follows the story of Goose - a gang leader whose girlfriend is brutally slaughtered when he attempts to leave the thug life behind. Pulled back into the gang, who've now formed an uneasy alliance with the thugs that butchered his girl, Goose sees an opportunity to exact his brutal, deadly revenge. The very definition of DIY, independent filmmaking (VanBebber quit film school after his first year and used his student loan to fund the movie), Deadbeat at Dawn surpasses its low-budget origins to create a revenge movie that delivers more thrills and bloody spills than all of Chuck Norris' films combined. To order your copy of DISTANT VOICES, STILL LIVES from MVD click HERE.